So, for those of you who don’t mind wading through a lot of screen shots with some commentary, this article tries to capture the various adjustments I made, and process I used, with one of the shots that did not make it into my “photographing aircraft” article. Those of you who don’t like wheelbarrows full of detail should probably skip this article. I should also state upfront that I don’t profess to be any kind of expert with post-processing so my approach may seem somewhat scattered or unstructured to some folks. This may be due to the fact that I never do any batch processing of images and I only post process the ones I intend on using for some specific purpose. Plus, I’m self-taught by mucking around a lot…which does not lend itself to creating a disciplined approach. I treat each photograph as an individual challenge and how I treat it tends to fluctuate with the image. My basic flow for difficult files is DxOMark Optics Pro…then into CS6…then into Nik Suite. For files needing only very simple adjustments I’ll just pop them in and out of CS6 quickly, with the odd tweak in Nik. So, let’s get back to the subject image of this article…and its unprocessed RAW appearance. My first step is to bring the RAW file into DxOMark and allow the software to do its automated lens/camera adjustments. While I don’t use too many presets there are two that I do use quite a bit in DxOMark Optics Pro; ‘Sharpen Fine Details’ and ‘HDR (single shot)’. When working with an image that is very flat and grey, like the subject photo in this article, I find these two presets in Optics Pro can be very helpful to start bringing out details. Then I open up the Customized menu in DxOMark Optics Pro and make some initial adjustments. These often include ‘Smart Lighting’, vibrancy and saturation. When working with a flat, grey image I’m often very aggressive and I have no hesitation taking vibrancy to the max and also cranking up the saturation a fair bit. After having a quick look at the results, then I typically make some adjustments to highlights, mid-tones, shadows, and black as needed in DxoMark Optics Pro. Then I process the file as a TIFF and move it into CS6. 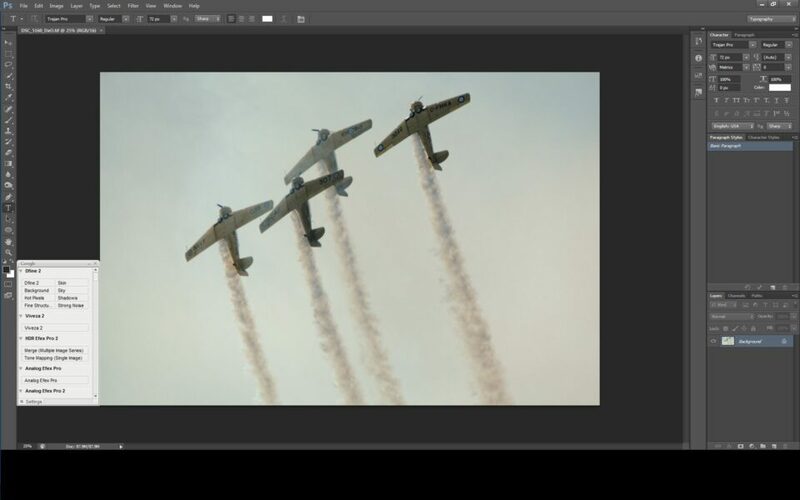 The first thing I do in CS6 is adjust the exposure and gamma correction. Then I’ll play with the standard curves to see if one of them does something dramatic that I like with the image. If it does, I use it. If not, I move on. Next, I will typically make some adjustment to the levels to try to create higher levels of differentiation in the shot. Most of the post-processing I’ve done to this point is to work with the overall ‘greyness’ of the image to try and create more density that I can begin to work with later on in terms of getting some colours back in the image. Then I open up Viveza 2 and make adjustments to brightness, contrast, saturation, structure and shadows. At this point the image starts to take shape. Depending on what I see in the image I’ll often open up Color Efex 2 and adjust polarization and dynamic contrast. At this point I find it is often useful to go back into CS6 and make some readjustment to the gamma correction so I can get a bit more balance with the image. Then I revisit the vibrance and saturation in CS6 and often bump them up a fair bit…again to bring some colour back into the shot. I often revisit the levels and make some subtle readjustments as necessary. 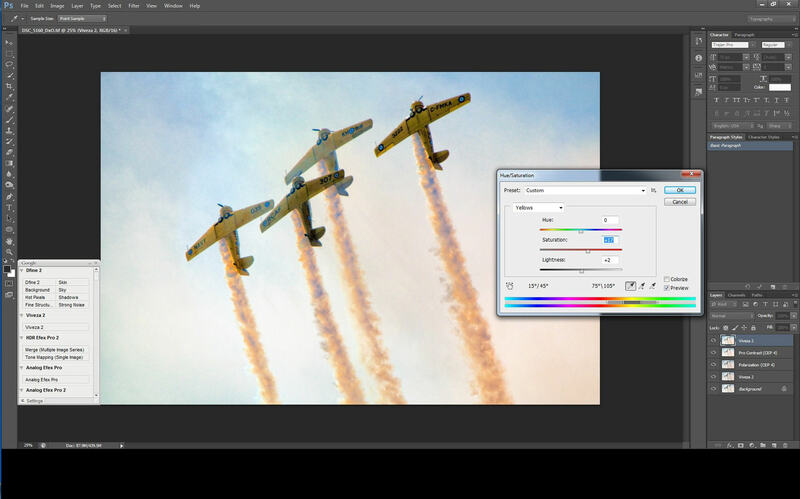 With the subject image in this article I then made some adjustments to the ‘yellows’ in the Hue/Saturation adjustment screen in CS6 to add some extra colour pop to the aircraft. Then as part of the final image tweaking, I’ll often go back into Color Efex 2 and make some small adjustments to the polarization and dynamic contrast settings. If the image has gone through a ton of work it sometimes needs a bit of clean up so I will then sometimes use Define 2 for that purpose. On occasion I’ll then take the image into Sharpener Pro 3 and make a few adjustments. To something like this one below…or hopefully better. When it comes to using software in post-production I’m not much into experimenting with more and more new programs. I know I drive my tech-savvy son crazy with my lack of enthusiasm for the ‘latest and greatest’ software. I’m sure I’m only scratching the surface with my current programs…and I’m loathe to spending time learning more new software when I’d much rather be looking through a viewfinder than at a monitor. Thanks for the positive comment….very much appreciated! I appreciate the time you took to put the article together. Some photographers hesitate to shoot RAW because they don’t look right from the git go. This article puts that fear to rest because a pro got the same drab output they do, but showed how it can be turned into a beauty. Thanks for the positive comment…very much appreciated. You bring up a very good point about some photographers hesitating to shoot in RAW because the files never look ‘right from the git go’ as you stated. If this article encourages even a few people to try shooting in RAW that haven’t in the past…then it was certainly worth the time putting it together. One of the amazing things about modern photography is how it is constantly being impacted by technology…both on the hardware and software sides. We can do things today that were only fantasies in our dreams a few short years ago. The risk that technology poses is that we sometimes can get so wrapped up in it that we forget that the real objective is to pick up a camera whenever we can and try to create something with it. Since it seems that you have Nik Software I would suggest trying Color Efex Pro 2 and using the “detail extractor” filter. I think it would skip a bunch of these steps (from my experience in kind grey flat pics) I personally think it’d work great in this case especially since there aren’t any people in it (which detail extractor looks too aggressive on). Try giving that a shot and see what you think. A lot of steps but you did a great job making the picture stand out! The ‘detail extractor’ filter is one of those ‘yet to be mucked around with’ features in Color Efex Pro 2. I’ll give it a try the next time I’m working with a ‘non-people’ image. Thanks for the tip! Hi, Tom. I was amazed by your work in the original spread. Little did I know how much time and effort went into your post work. As an aviator I have tried and failed miserably at catching this sort of aerial action. I say job well done. I did wonder about the number of processing layers you went through and wondered if there is amore comprehensive tool as suggested here by other. Seems like a little data is lost very time a software transition is made, but what do I know? Thank you for all the great work and information sharing. I find it very generous of you. Thanks very much for your generous comments….they most appreciated! No doubt there are far more ‘efficient’ ways of processing files than the rather serendipitous route that I often take. As it is often said ‘there are many routes to the same destination’. As I stated upfront in the article…my approach isn’t disciplined at all….and I don’t make any excuses for it. I just use what I like…regardless of where I happen to find a particular adjustment. As I’ve done my ‘mucking around’ with various software I found that I really liked specific adjustments in particular programs and tended to add them to my ‘tool kit’. I suppose most image processing software pretty much does the same things but to my eye, not all of them do all of it equally well. So I mix and match and bounce from one program to another…I suppose to many folks I’m committing some kind of ‘post processing heresy’…or perhaps lunacy. As far as the amount of time that it takes…even with my rather convoluted approach….it actually isn’t that much….probably a maximum of 3-5 minutes per image. If I can’t get what I want in that time frame working with a particular file I usually get bored ‘mucking about’ with it and I just go on to the next viable candidate. When I’m out shooting I tend to be pretty prolific so I am seldom at a loss for images with which to work. Thank you Thomas for this informative article. It’s always interesting to read about another photographer’s workflow and compare notes to one’s own. This is what makes this site so valuable to photogs around the globe. I’m not sure that I would describe what I do as a ‘work flow’…perhaps its more of a ‘journey of whimsy’. Mark…given the variety of post processing tools and their complexity…I’ll never master all that Photoshop has to offer…I truly enjoyed your sharing your workflow and sharing processes. What I’m taking away from your article isn’t “how to,” but “look at what’s possible!” I use Viveza and find it very helpful, but you can be assured I’ll be looking at more of the Nik collection. Thanks. I’m glad the article was helpful. I have been spending more time using various elements in Nik and my appreciation for this suite of software continues to grow. Thanks for sharing your work-flow for this photo. For me, half the fun of shooting RAW is the post-processing…all the better with a cold beer! A cold beer can certainly make the process more creative! Everybody has their own process, and while this may not be the best workflow, many people can still learn from it. He never indicated that he was “teaching”…merely sharing his mostly “self-taught” techniques. His message to me is…”hey, keep screwing around with your post-processing software, you may be surprised with the art that you might create!” An organized workflow has its place, a “professional” making 8th grade school photos most certainly uses one, creativity, in this instance, is not an issue. Hey Mike, you paid big bucks for all of that software…let your post-processing fingers dance and continue to create images that make folks like me take a second peek. I look forward to your next article. 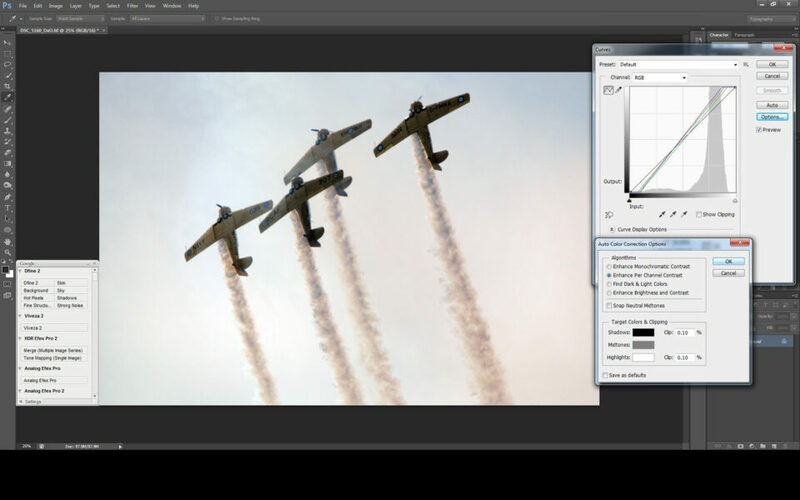 The original intent of this article was simply to respond to a specific request from a Photography Life reader who asked me to share the post processing details I used to create the images used in my “Photographing aircraft in flight with Tamron 150-600” article. Sometimes even when prefacing an article’s intent….it is interpreted in different ways…such is life! Thanks for taking the time to comment…always appreciated! Tom, an excellent article. Thank you! I’d love to see more articles like this on Photography Life. Often I look at images online and in comparison to my own, they blow mine away. Yet when you see what the image looked like out of the camera, you realize that 90% of the impact came from PhotoShop. Knowing this is critical to producing the best photos possible. Great work Thomas and the PL crew! Thanks very much for your comment and kind words! I haven’t done any work photographing food with my own business…but I did have the opportunity to attend food shoots back in the day when I was a client. I remember what amazed me at the time was the amount of prep work to set up a food shot. Very complex in terms of lighting, reflectors etc….and the results were simply spectacular! I haven’t been at a food shoot in probably 20 years…is the set-up with lighting etc. still as intensive as it was ‘back in the day”? Very interesting that you are using multiple flashes for your food photography work. ‘Back in the day’ the food photography sessions I witnessed were all done with constant light soft boxes and the lighting on the food was adjusted by taping various sized and shaped colour gels, and even black tape, onto the soft boxes. Some smaller sized reflectors were used to direct some light into some of the shadow areas. Interesting… It’s certainly easier to see the changes with hot lights, but if you know what you want it’s easy enough to visualize how the light will be reflecting and place flashes accordingly. The law of reflections is my best friend when doing these shoots. ;) I just find that the price, performance, and portability of flashes outweighs the simplicity of continuous lighting for me. I’m sure that many great food photographers find hot lights perfect for them though – all up to preference. Thanks for your input on the genre, any chance that Photography Life will be running any articles on food or product photography in the future? Food photography techniques have no doubt improved dramatically since my ‘client’ days. I’m not sure if anyone on the team is planning to write a more advanced article or not. I was taking pictures with the same lens on Monday a bit farther to the west than you. It’s a bit of a learning curve, but I do dread spending hours in post processing. Some great points to adapt and add to my workflow. Appreciate both articles and all the work that went in to document and share. I’m glad there were a few things that were helpful for you in the article…always good to hear! I’d love to know the vantage point from which you were shooting at the CNE air show. I was by Ontario Place just west of the bridge. I was thinking about moving much further west in the hopes of not having quite as many formations flying directly overhead as they do not make for very interesting images. The challenge is still being close enough so the subjects still fill the frame to a reasonable degree, and also still being able to capture images with a formation of aircraft at a dramatic angle…or approaching head-on. How did you find the Tamron 150-600? What body were you using with it? Was just south of Jameson very close to Argonaut Rowing club..It’s a friends secret spot, but lots of other people seem to know about it. We stood on lots of concrete chunks. Was shooting the D810 with the 150-600. bit worried the images were fuzzy, but they look okay in Lightroom, perhaps my eyes don’t work that well in bright light with the view screen. Got lots of dots with vapour trails! Once I go through 900+ of them I’ll try to get a few up on my flickr account: KCWoods979. Will try some work in Nik and see if I can sharpen and bring out some more colour. First time taking pictures at an air show, was a lot of fun. Still have a lot to learn! forgot to mention was also testing the lens on the ducks, swans and seagulls that were going by..so far the shots look good, very impressed with the lens! Thanks for sharing your shooting location. Next year if I can squeeze more time in for this annual event I will try to shoot from at least two different vantage points on successive days. Your experience with the Tamron 150-600 matches what I personally experienced (which is why I’ve ordered my own copy) and what I have been hearing from many, many users. It is also one of the reasons that Tamron won an international lens design award for this particular lens. Thanks again for the additional input. Anywho, your article was great. I enjoyed seeing the before and after, and didn’t care that there were U-Turns, switchbacks, and side trips along the path to the finished product. It looks great and, really, that’s all the matters. Ignore the naysayers; responding to them is a waste of your time and energy. Thanks for the positive feedback…much appreciated. I’m glad that the article was of helpful for you. Your system obviously works for you, but I worry about how much detail you’re losing going back and forth between editing programs. I use a Nikon D200 and D300 shooting raw for my landscapes, and in jpeg for a real estate company I freelance with (why they want jpeg is beyond me). 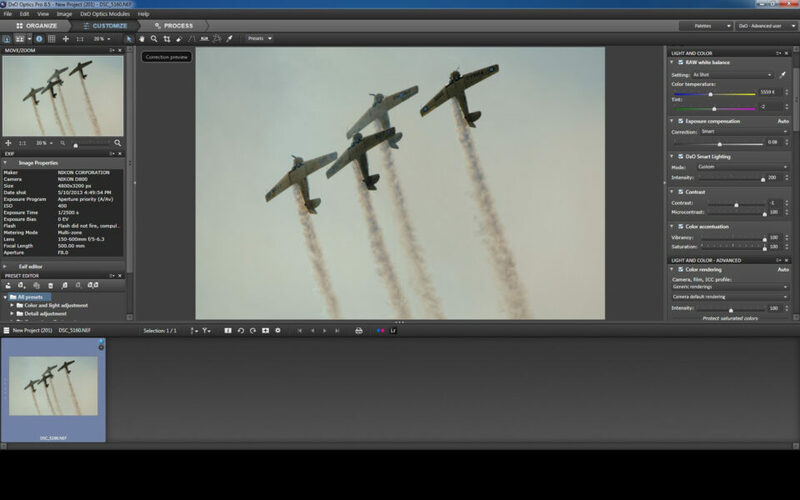 I use two programs only, Ps Cs 5 and Nikon CaptureNX 2. Most the time I do all my color and lens correction with NX 2, and use Cs 5 for content aware and cloning work, and even the old fashion burning and dodging once in a great while. The nice thing about NX 2 is it’s designed for Nikon cameras, but I’m not sure if it will work with your D800. Check it out, and if its compatible, I highly recommend giving the program a try! You make a good point about the potential of losing information when moving files around from one program to another….and my approach is likely not ‘ideal’ from that perspective. That’s one of the reasons that I process the DxOMark file as a TIFF rather than working with a jpeg to try and minimize data loss. I hear what you’re saying about clients wanting jpegs! Many of my clients also only want jpegs…but I always shoot in ‘RAW plus jpeg fine’ so I have both files available just in case. Under ideal lighting conditions, especially if clients are using the images for web use only the jpegs are sufficient for their needs. I have had situations where the RAW file was important to have in my back pocket (e.g. foundry shots of molten metal being poured) and being able to demonstrate the difference in using the RAW file has been beneficial for clients. There is always so much more to learn about photography in terms of technique, gear and post processing! With NX2 designed for Nikon cameras it would make sense for me to investigate it further…thanks for the suggestion! I have been dipping in and out of this conversation throughout the day and found it quite remarkable. When I first saw your submission in relation to using the Tamron lens, I was quite astounded with the results. Particularly so, as I shoot a few air displays, and I too have had those grey skies (especially in the UK) when I’ve thought what a waste of time until I’ve sat down and wondered what I can make of it. At this juncture, I will point out that I have worked for the last 40 years or so as a professional photographer and most of my work has been to get it right in the camera – particularly in the days of using film. Digital photography has opened up so many more avenues to a final result and it would be foolish to ignore such technology. So much so that for my personal photography, I now use the original file simply as a starting point to something I can eventually display. Many times I have shot something that looks very ordinary and not worth printing, but I feel might have the potential to produce something interesting. Some of my friends tell me it’s not photography. And maybe they are right, but I have produced something I like, my wife (usually) likes and quite often a number of my friends like too. If I knew how to direct you to my my personal, embryo web-site (www.alancappsphotography.co.uk) then possibly there could be something there that you might also like. A second remarkable point in this conversation is the totally unnecessary and vitriolic words from photographers (I use that term loosely) who should know better. Hopefully those people have gone elsewhere. You were simply asked how you did things – and you told us. From comments made, most readers were impressed, I certainly was, and long may you continue, producing images you like in the way you like to do it. Don’t forget, many of the great artists of the past were heavily criticised for producing works of art that were different and not agreeing to the norm. I too put all my D800 RAW files, initially, through DXO Pro to convert them into Tiff’s. If I’ve had time to carefully consider the lighting and composition at the time of exposure, then all I would do is adjust the frame and convert to JPEG. However, for my personal stuff, I will ‘play around’ with the Tiff in NIK software until I get something I like and finally frame and print through NX2. Please continue to give us further interesting articles. Thank you very much for your most kind words…much appreciated! I did have a chance to use the link in your post and view the image….I thought it was wonderful! I also love to take photographic images and turn them into something surreal…moody….intriguing. Some people view this as a form of ‘photographic heresy’….to me it is just a different form of creativity which allows a photographer to produce images that cross over into art. I have a few samples on my web site under the ‘photo art’ tab. You may find these of some interest. I use my usual post processing on the images…then take them into Topaz for various artistic filter effects. Thank you Tom for sharing your wonderful secret sauce & perspective. Thanks for sharing some samples of your work. You have some great captures and you’ve developed a very unique style to your imaging in post. This approach is moving towards a ‘photo art’ look. I have also done some experimentation in this direction and find that it can be quite a creative endeavor…..although it is certainly not one that a ‘photo purist’ would enjoy. I’m not sure if you have ever used Topaz for any of your image processing. If not, you may find some of the Topaz filter effects quite interesting to use in terms of taking some of your images and transforming them into ‘photo art’. Appreciate your kind words and reply. Thanks for the suggestions on Topaz. I agree I opened the can of worms & the photo purists will find the fault – but based on my experience, if the post the photo as it is, I hardly get any response. I felt controversy is the best selling point. At the end of the day the art is a grey area for me – there are no facts and only perceptions & interpretations. Personally, it is a hobby for me (please myself:)) and I took the shortcut by doing it in Batch with pre-set . If I spend time on each of those files separately, I can tweak it with selective adjustments in NIK/Photoshop. One should never allow the ‘conventional wisdom’ of others to restrict their creativity! It sounds like you are really enjoying your creative journey so stay on it to see where it leads. There is always a ‘path less travelled’…and it often leads to higher levels of satisfaction and personal fulfillment. I must say you guys at PhotographyLife is sharing priceless seasoned wisdom so that novice like me to can have strategic direction from it and set our own paths. In todays blog polluted world, I am a humble admirer of high quality Photography content. Thanks for sharing your workflow. I find seeing how others process images is useful. Your article was informative and useful to many. I think it is sad that there are individuals out there who can’t seem to provide critique without resorting to rude and nasty comments. Myself, I immediately ignore any post that is written in such a manner. I suggest you ignore them too. One thing that I have experienced as a hobbyist, is that a photo that is “difficult” will never be great. Whatever it is that is making it “difficult” will limit it’s potential. Now it could end up 5x better with a lot of time and work, but it will never be a 5-star winner. Myself I don’t like mucking around in post, I like shooting. However, alas, post is a necessary part of the process. So whenever possible I pick the “winners” and spend my time on them. This minimizes the time I have to spend in post. Understandably that is not always possible for a professional. Like a professional pilot has to fly in bad weather, a pro photographer has to deliver the images, more often than not, in less than ideal circumstances. Kudos for that. Might I ask, why is it that the final version of this shot didn’t make it to the “Photographing Aircraft” article? Glad you enjoyed the article, and thanks for your positive comment. I totally agree with you that the ideal situation is to get a great shot in camera and not have to spend too much time with it in post. Unfortunately, I only had one day in my schedule to get all of shots for my “Photographing aircraft in flight with Tamron 150-600” article so I had to capture whatever I could given the conditions that day and make the best of what I had. Like you, I have a look through my shots and try to pick the ‘winners’ to do work on in post. That’s the single, biggest reason that I have never done any batch processing. I tend to be pretty ruthless with my ‘delete’ key and I try not to have images on my hard drive that I know will never end up as good, useable images. As far as the subject image for this particular article, I specifically picked it since I had not done any work at all with the base file. I wanted to start with something fresh and walk through it step by step so I could capture relevant screen shots etc. to (hopefully) make the article useful for readers. 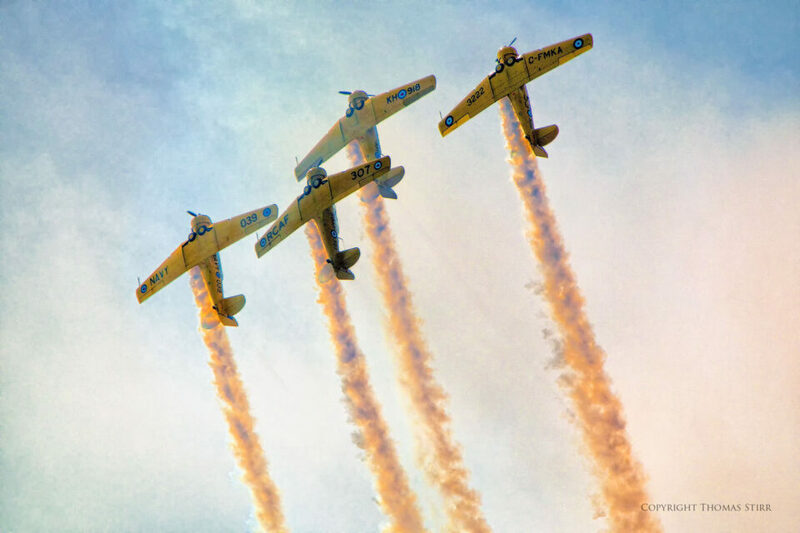 I had already selected about a half-dozen shots of this same four aircraft formation that I used in the original article as I thought those other images were better framed, had more sense of drama, or had some other attribute that made them more appealing to me than the image used in this article. Indeed! 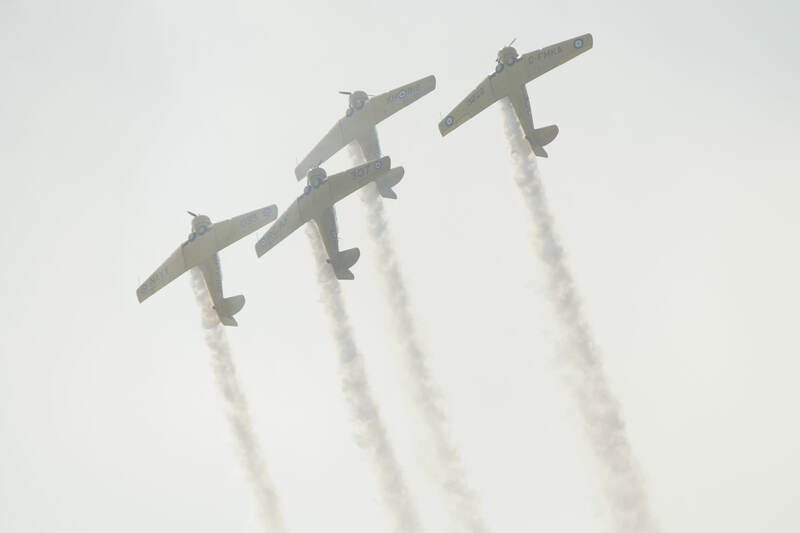 I went back and looked at the article and I love the vertical shot of the AT-6s (12) with the sun glinting off the leading edge of the wing of #3 from the left. I’m sure you would laugh you head off if you ever saw a photo that my wife took of me during our first trip to New Zealand! We were in a small single engine plane flying to Milford Sound with two of our best friends. To say that the flight was ‘bumpy’ would be an understatement of epic proportions! Anyway….I was so intent on capturing some images from the airplane that my wife has a picture of me holding my camera in my right hand and looking through the viewfinder of my camera out of the window of the plane…while my left hand is holding an air sickness bag that I was soon to use…her photo of me ended up being the most memorable one of the entire trip! Thank you for sharing your process. I appreciate your graciousness in responding to the over the top, isolated negative comments. You clearly stated your the intent of the article in the introduction; you were responding to a request from a reader who simply asked how you got the amazing results in your photos. It’s one professional photographers approach. It seems that same negative commenter doesn’t appreciate your humor about your work, art and life that always comes through in your articles. For me, it was re-assuring to see your original gray RAW transformed and read others’ approach to a similar image. Also, as a longtime follower of PhotographyLife (and, earlier version), I for one appreciate those who share positive, non-judgmental comments, rather than mean-spirited, critical and I have to be right (or better than you) comments. For me, the negative comments are definitely non-instructional. It is always great to hear from a long time Photography LIfe/Mansurovs reader…and I’m glad that you’ve enjoyed what the team here at Photography Life creates for our readers. The approach that is in my article is simply the way that I processed the files that I used for a specific article. I am not suggesting that anyone should specifically follow the approach that I used. I likely have different software than many folks and this approach is something that I created over time…it works for me…but may not for other folks. Great article, Mr. Stirr. Much appreciated! Glad you enjoyed the article…thanks for the positive comment. I thought the article was really nice….showing the nuances that someone goes through to turn a somewhat “flat” image into something presentable. I myself go through my own gyrations, but I’m always wondering what others do as well. This was a useful look at someone else’s take on workflow. I was impressed with the generosity with which it was shared and on the final output. Thanks for your positive comment….and I’m glad the article was helpful. I think there is another ‘rule of thirds’ for photography….1/3 photographer skill and vision, 1/3 gear, and 1/3 software. The shot looked difficult from the original image. What came out as a final result looked very good in comparison. Sometimes you have to play the only had you are dealt….planes being 1/2 mile away through atmospheric haze, shooting against a bright background…. Seemed a difficult shot and the results were more than presentable…even good. Good image and good article…. I’ve tons of difficult images as well with the low/flat/specular light I’m given in south central Alaska as well. This article peeked my interest enough to try out some new ideas. Great to hear that there were some items in the article that may be worth a try. Let us know how they work out for you. And, thanks for the positive comment. We can be thankful that photography is a medium that each of us can apply our own unique vision to. That vision will inevitably inspire some and repel others. There is no right or wrong way of doing things. You have been willing and generous in sharing your work with others, and long as you are pleased with it yourself then that’s the most important thing. The critics, detractors and ‘experts’ can only shout at the rain while offering very little themselves. Like so many other readers, I appreciate all your efforts. Always great to hear from you…and thanks for the words of support. I am enjoying the new size format here at Photography Life and looking forward to your next article. I always find them informative and useful. The larger format will further showcase your outstanding work. Good job on your report and own personal experience with this photo processing. You clearly put in a lot of thought and effort with your own personal tools and methods. You should stand proud of your accomplishment. Thank you. Comment partially removed by moderator. I will give just the steps I routinely use but keep in mind that not every step is needed every time (if it ain’t broke, don’t start trying to fix it) and you may need to go back and recap some steps in the light of developments as things progress. Starting in Lightroom Develop Module (you could also start in Adobe Camera Raw in PS but I like the excellent cataloguing, key wording and searching that LR is designed for, so I always start from there.) The Lightroom Develop Module and Adobe Camera Raw are in fact identical so it makes no difference. Camera Calibration Tab – to make sure you have the current year process running and to maybe try a different camera profile – this sometimes changes the starting image in a beneficial way. I have standardised on Process 2012 and Adobe Camera Standard. – try preset curves and or/use sliders to control the 4 principle tonal ranges or make a custom curve adjustment by setting and adjusting your own points on the curve. – make targeted adjustment to hue, saturation or brightness for particular colours in the image. I usually leave these at LR default value or apply one of my custom presets while I am working in LR but only apply these to the preview. I do all sharpening in Photoshop. I generally check the auto settings as I shoot with the best Nikon pro lenses and my principle subject is wildlife where small amounts of distortion are not an issue. If you use lesser glass or shoot more ‘distortion-critical’ subjects (architecture, engineering, etc,) you may need some manual input here. – I often apply a very subtle vignette, (only noticeable when switching between before and after views to imperceptibly ‘draw’ the viewer’s eye to the main subject). – I have no use for the Grain tab. By this point the image should be looking pretty reasonable. 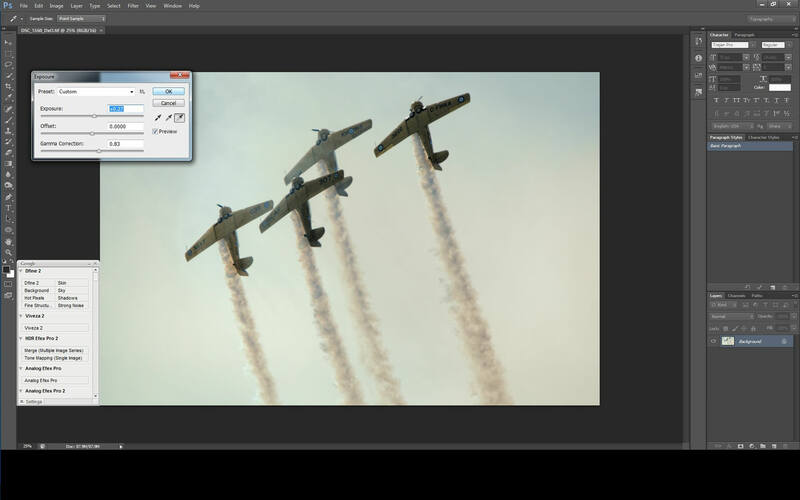 Now you may want to apply a crop, remove spots, apply a gradient, dodge and burn or paint in various adjustments selectively (using the auto masking feature) to particular elements in the image using the tools in the tool bar. I tend nowadays to increasingly use PS for these as the range, selectivity and subtlety achievable is much greater. Cancel sharpening and noise reduction in Lightroom (if applied). 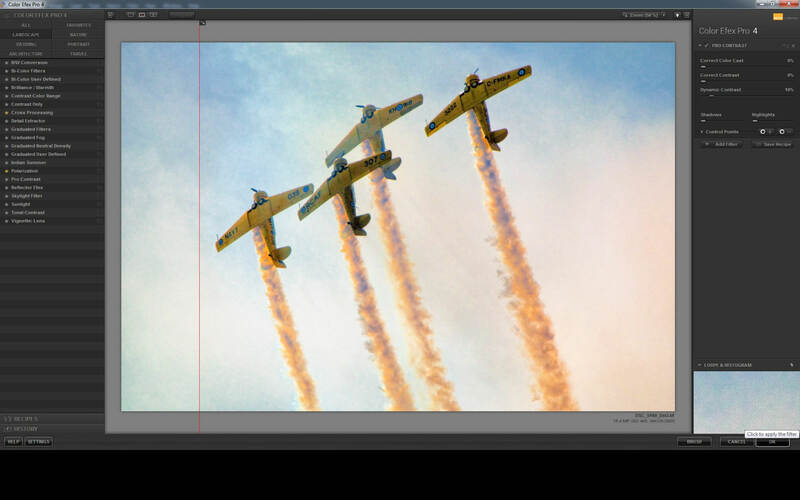 – crop and perspective control (if not done in LR) – more flexible and reversible if done in PS. Can be done early or late in workflow. – noise reduction (Noiseware) on a duplicate background layer. 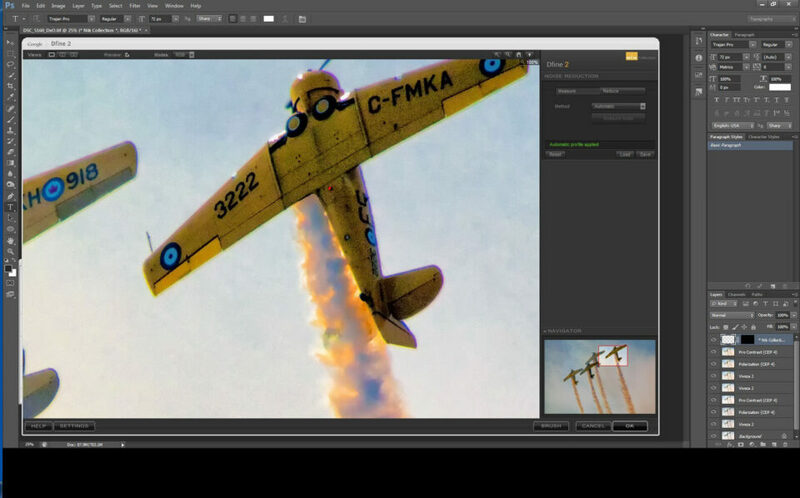 – capture sharpening (Pixel Genius) – using a dark and a light contour layer (which can be individually adjusted) as well as a mask for each layer to apply any adjustment selectively to just a part of the layer. – selective tonal adjustments by dodging and burning on layers using soft light and overlay blending modes and/or luminosity masking. 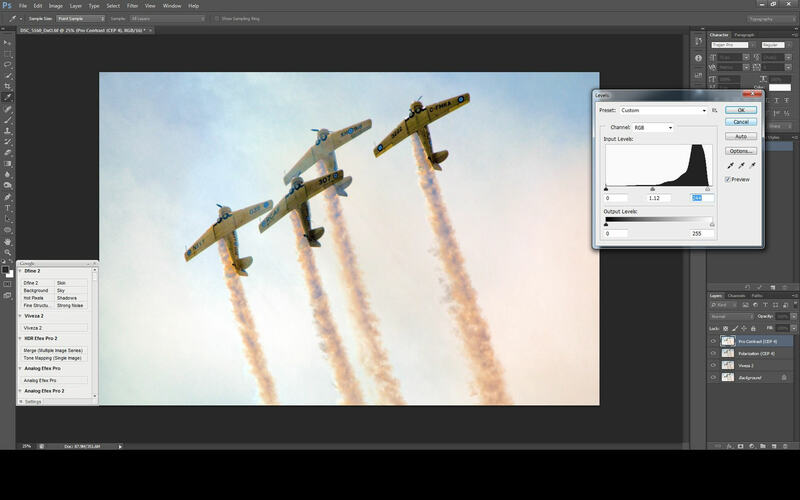 – selective/local colour adjustments on adjustment layers using selections and masks. – creative sharpen on a layer (Pixel genius) to modify overall sharpening or apply selective sharpening through a mask- a large number of options available here. – save image as an archive master TIFF with all layers intact. – soft proof master TIFF and adjust for print output with additional adjustment layer(s) if necessary. My calibration and profiling is fine tuned to the point where I can safely skip this step as what I see on my monitor is consistently the same as what emerges from my printer. The only exceptions are highly saturated (or otherwise weird images) which may contain out of gamut colours – very unusual for my type of photography. Occasionally I may assign a profile chroma variant (produced by the brilliant Joseph Holmes) to subtly increase the colourfulness/saturation of an image without any danger of clipping any tonal value on the extreme edge of the colour space. – output sharpen image for print (Pixel Genius) again with the option of modifying to taste on a layer and layer mask. – resize image (I do this in two steps using a custom action) to the required pixel dimensions. – sharpen for web output (I do this with a custom action also) -otherwise the Smart Sharpen filter is probably the best option. – save as a JPEG file ( I use the ‘Save for Web’ dialogue which takes care of colour space conversion, bit depth and compression/quality. I hope you and your readers get something useful from it. I think this will benefit many Photography Life readers to have this laid out is such clear detail. I will also have a look at this and give it a try the next time that I am processing images. Again, thank you very much for sharing this. Betty: I don’t consider myself a professional photographer. I make my living teaching and administering anything is just icing so to speak. I don’t have any concerns about your process. I would use ACR but LR is fine. I would begin with the crop and not at the end. 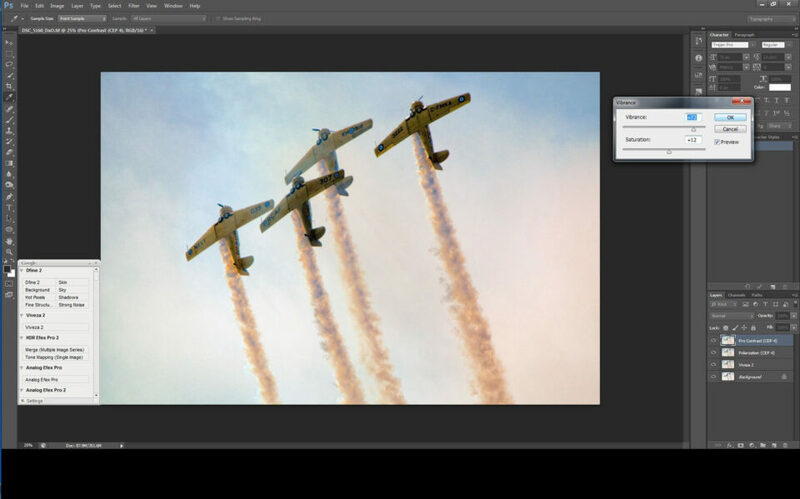 It reduces file size and you are not adding effects to areas you will crop out later and may change such as the vignette. I could and might use the Adjustment Brush in ACR, however you are using adjustment layers and masks in PS which is pretty much the same. . The sensor dust removal tool in CC/2014 (not in CS6) is very good. 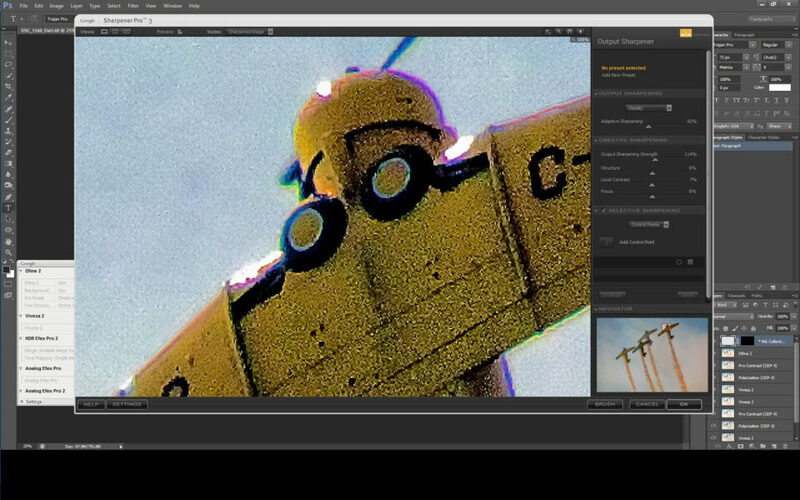 I would look for chromatic aberration and use the new straightening tools in CC/2014 if applicable. I would bring the image into PS as a smart object as this would retain the link to ACR. Not all the tools you listed would be used. The image would dictate what is needed. It is important to know what the tools are and what they do. I don’t apply every slider in every options or dialogue box. I will use the sharpening and noise reduction tools in ACR which can only be applied properly at 100% zoom. Or use anyone of the NK structure tools in PS an addons as dictated by the image or to achieve an specific and desired effect. My effects are localized and I rarely use global. To speed up post, you can create your own presets. The presets and auto functions in ACR and LR are good places to start. I am fine with archiving as a PSD instead of TIFF. I realize other feel differently. Forgiving your pardon in advance, but this was really great… I suppose it’s moot to wish that it appeared much higher in the thread, before all the heat and subsequent moderation too place, but I’m glad to see this posted by you. It stands to be super helpful to a great many people. I just hope they bother to come back to read it. I found your workflow to be quite similar to mine, some deviations aside (I’ve begun adjusting colours’ hues/saturations, colour-grading and split-toning in PS instead of Lightroom, for one). Question for you: I typically edit and save as a PSD in Photoshop. While I used to use TIFF a lot in the past, because I felt that I needed to work in TIFF because it is read by many other programmes, I later abandoned this practise because I am an Adobe user, and can’t see changing this. Yeah, I know a lot of people are turned off by the whole “CC” debacle; I have no problem “leasing” the software, though. Anyway, is the logic behind your saving as TIFF in place in case you opt to leave Adobe? If so, it sort of negates the whole “convert RAW to DNG” philosophy that so many people used to heavilly promote–which I also noticed that you do not do. I have converted about half my RAWs (NEF) to DNGs, but now wonder if this is wise, as well as editing/saving as a PSD file. I too wrestled with the subscription plan. But I have always used adobe products and really do not see that changing. I also use LR and at the moment that is a stand-alone product which you own. (yes, I realize none of us own, we only own the license to use). At the moment, LR will open .psd files and you can continue to work on them, print and convert to another format if so desired. Unfortunately, you lose the layers. I too convert all my raw files to DNG. DNG is open source. Adobe has provided the code to anyone who so desires to adopt it. No strings attached or fees required. I am not worried at all with a DNG conversion. I am worried with Nikon and Canon and other proprietary formats that the manufacturer may in time abandon. I am glad someone got some benefit from it. I don’t think it greatly matters whether one uses PSD or TIFF – in practical terms they are identical. Some people use PSD for their layered files and TIFF for flattened files as this gives a ready means of distinguishing the two and so avoiding errors. I use TIFF as the format is open source and so less likely to be left “high and dry” in the event of Adobe not supporting it any more or getting up to some other kind of corporate nonsense. I don’t think this clashes with converting proprietary RAW files to DNG as DNG is also open source so in many ways provides the same protection against a manufacturer doing the same thing. I actually like the DNG concept but for me a drawback has appeared – some high profile wildlife competition organisers, in the face of protest about the high level of cheating that is coming to light, are increasingly requiring sight of the original RAW file on submission of an image – and they are saying that a DNG (except from manufacturers who this e.g. Leica et al. ), will not be acceptable. This is really only an emerging concern if you shoot wildlife, otherwise I would do it as it puts the data into the file rather than having it ‘float about’ separately in a sidecar file. I am toying with the idea of either embedding the RAW file in the DNG or keeping a back up in the alternative format – but then of course you either have even larger files or need a lot more storage capacity. As with most things in life, for every advantage there seems to be a corresponding drawback. Hi Thomas, I can’t judge if the process is good or bad workflow, I can judge the final result, and at the end it is what is important. The tools to arrive to the final picture are not important as long as they allow you to do what you want to do. Personally I don’t have an only one workflow, I select the tools based on how important is for me the photograph, for a so so picture basic adjustments is enough, for complex ones when I need to recover highlights I switch to more complex and time consuming software. Sometimes more important than the tool itself is to feel comfortable with it. Personally I got similar photographs (dull) like yours, and I was able to get a similar results with different software. Anyway post-processing made quite a difference, and contrary to what you read about your bad workflow I personally think it is very interesting that you share what you did. Comparing ours and the way others work let us compare and decide which is better for each one of us. Someones values time-saving workflow, other like a way to spend more time in order to have more control. As people is different from each other, so is the way we like to work. In other words thanks for sharing. Thank you for your comment…I was happy to have the opportunity to share. As the reader who originally requested this article i feel bad for the badgering you have had to put up with. I think you’ve given ‘thick skin’ a new benchmark. I’d like to say thank you though, for sharing your process. It was a exactly what i wanted to see. The difference between the original and the final product is astounding and it certainly makes me appreciate the effort that most professionals may go through. Its a bit to easy to expect great images from everyone these days, but there is obviously a lot of work in the background, with the details, that escapes beginners like me. Regarding your workflow, i have no intention of assuming that it is the bible and that all images must go through this process to achieve greatness. It was what you did, and you were kind enough to share it. To assume, as others have, that students of photography, will simply rely on one specific workflow is incorrect. 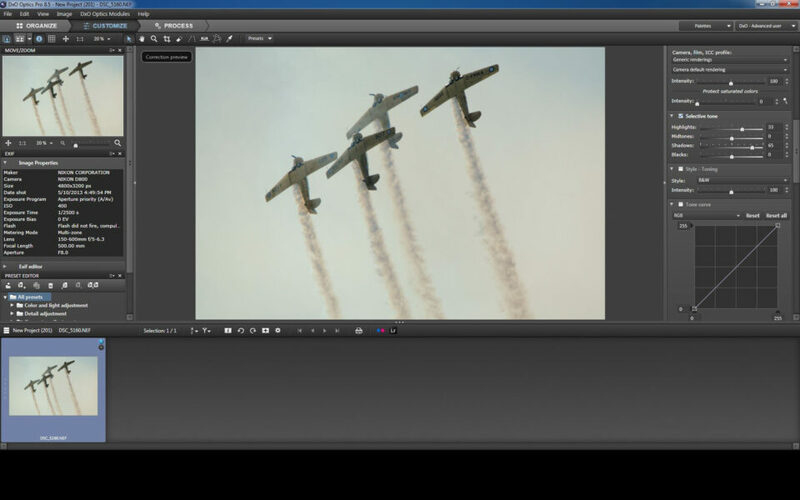 As a beginner, in this day and age where multiple resources are available online, this example was just another viewpoint on how to produce an image. Its great to have an opinion. At least make the effort to phrase it politely. That’s pretty much what most people expect on this forum. To Tom, thank you once again for responding to my request. Brilliant job. Thank you very much for your comments…they are much appreciated. There is no need to feel bad about anything. You made a legitimate request for me to share some information with you…and I was more than happy to oblige. You obviously have a very mature and balanced perspective about ‘not taking things as gospel’…I had assumed that when you made the request of me. At the end of the day if you got what you needed from my follow-up article…than it was more than worth the effort to create it for you. I would like to draw your attention to Betty’s recent post #128 and the additions that Mark has added to it…post #133. 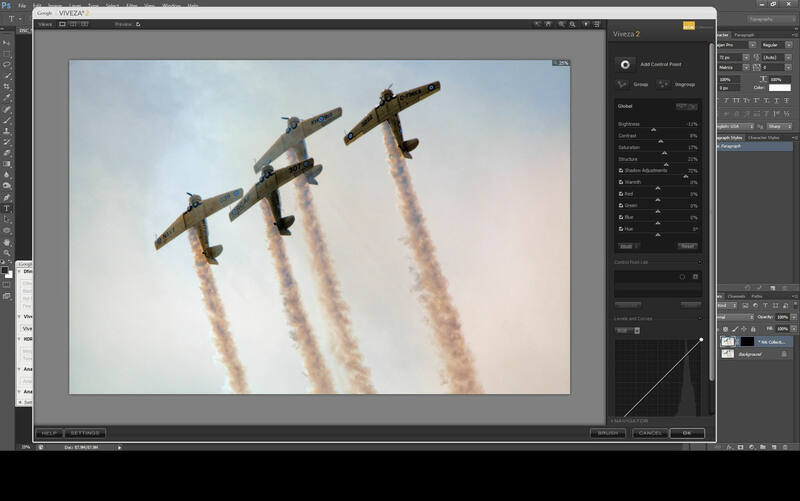 These provide a concise and informative overview of a recommended workflow that can be implemented when using Lightroom to process your images. For those of us, like me, who have not had any formal training with this software, or for others who are just starting out, these postings represent a concise roadmap that can be used as a summary guide…..and as such these posts are quite instructive and worthwhile. Obviously additional reading and practice will be required to learn Lightroom to a level of proficiency, but having a summary like this that can be printed out as a concise reminder of an overall workflow is very useful indeed. I would like to thank Betty for taking the time and effort to summarize this workflow for us, and also Mark for adding his insights. Thank you very much for taking the time to detail your work flow on the image. It always amazes me to see the way that other people work on their projects. This is very well done. I work alone in an isolated area of the world. When people like you share your ideas, so many of us benefit. Thanks a bunch! Any way you slice and dice ’em, I always enjoy the images you present. Keep up whatever it is you do to make them. Ne’er mind the naysayers. It is always great to hear positive feedback from a reader…rest assured I have some additional images for you to see…and I’m always working on more! This site is one of the best if not the best photography site and please don’t let this site be spoiled by this kind of behavior………. I take my hat of to you and your incredible willingness Tom. Photography is art. It can also be a scientific and data gathering medium. It can also be a way to create and safe guard memories. Art can have a process. But art can also be a spontaneous expression. Are the work of children not beautiful and imaginative and artistic sometimes? On the other hand, I know of artists that employ the same, reproducible technique to make works of beauty that sell but really have not much artistic value. And photography, with the advent of digital, has exploded to the point that every one is a photographer and some people that have never studied it have found that they really have an eye for it. So now a person with a phone can suddenly take really good photos. That must sure upset those that have spent thousands and great time to get good results. And as far as learning on the web and in forums…they are so full of incomplete and contradictory info that I have to wish very good luck to any one trying to get their education and information only from the web. Some people posting here believe that just because they have done something for 15 yrs. they are an authority and they have grater right to speak. But how many awful teachers have we had century after century. In the end too much ego and arrogance always ruins things. So let’s us take it with some fizzy water…and chill. Nasim and his crew are very generous to create and maintain this web site, even if there are some pay off for them in doing it. And so is Tom for sharing and taking time to respond to almost every reply and comment to his post. I personally do not need anyone to come to my rescue in case I may learn a convoluted or wrong approach to post processing. In the end I may learn something I did not know just from trying to reproduce what someone has hinted at in an article. So no thanks good deed doers, because the way to hell is paved with good intentions. And finally, thanks to all that the contribute their work, time and experiences to this site and no thanks to those that just have criticism without any constructive response. Sometimes ‘six cents’ is worth its weight in gold….thank you very much for your comment. Incredible result. Many thanks for sharing the workflow! I try to understand what you did what and will try some of your steps myself ! Thank you for your comment…I’m very glad that the article was helpful for you. Wooa, so much arguing. I like the end effect. And isn’t that what counts? I’d be interested in trying to process the same image purely in LR as that is what I use, but that’s purely out of personal curiosity. Would I get the same result? Probably not. Would I get it close? Maybe. Would it be quicker? Maybe…. Keep calm people….. enjoy the images. If you would like to see what you can do with the image…contact me outside of this forum via email. Thanks Thomas for the great image. Thanks also for reviewing so much affordable gear like the tamron 150-600mm and the sigma 150-500mm. Thanks Thomas for the great image. Thanks also for reviewing so much affordable gear like the tamron 150-600mm and the sigma 150-500mm. I find that you are great at explaining things as you do not complicate them too much. Your reply to sharif’s article about challenging one’s self in which you took the zoo photos was great too. And so was the piece about photographing cormorants. You are most welcome! I’m very pleased that you have found a number of articles helpful. The team here at Photography Life tries the best we can to bring articles that (hopefully) will be of interest to readers and provide them with worthwhile information. Was trying to find a good way of shooting the moon and somehow got stucked here :) thanks to the prolonged “discussion” above. Hahaha. Anyway, indeed I found your workflow is a bit too complicated due to the number of softwares being used. Having said that, I do believe that noone should be attacked for trying to share what he or she believes as good-no matter how random it might look to others. After all, that is exactly what learning and sharing is all about: the guts to express. In this case, surely, expressing your workflow. Personally, I have my own workflow, which I believe is much simpler yet powerful but at any rate it does not give me any right to say nasty things about you at all. In fact, it does not give anyone any right to do so because that very action will surely hurt the learning and sharing process being nurtured here. Let us try to avoid that. When we see people do things not in the way we believe it should, why don’t we just simply offer a direct solution instead of making such a bottomless fuss about it? Instead of helping other readers, those nasty, degrading comments will just prevent people from trying to learn and to share. This, I believe, is not good at all. Therefore, by all means, the next time we encounter something which we believe should or could have been done in a better way, do state it or better yet, do prove it. As for Tom, thanks for being so polite and humble. Can’t really tell what I would have done had I been in your position. Lol. That attitude of yours really should serve as an example for those who are thinking and acting as if they are the smartest individuals on earth. God have mercy. Anyway, have officially bookmarked this site for my own learning purpose. Hope to learn a lot here. Thank you very much for your comment….I appreciate the sentiments. I would be the first to admit that my processing approach on those particular shots is quite complicated, and can certainly appear disjointed to others. I guess since I am used to what I do and how I do it…(and having a warped mind helps)…it takes me very little time…although it does involve many steps….but at the end of the day does give me the results I seek. Part of the complicating issue I suppose for many Photography Life readers who read this article, and are used to using Lightroom is that I love DxOMark OpticsPro and I use it as my primary RAW processor. That particular software is missing some capabilities so I augment with other software…which currently causes some jumping around. 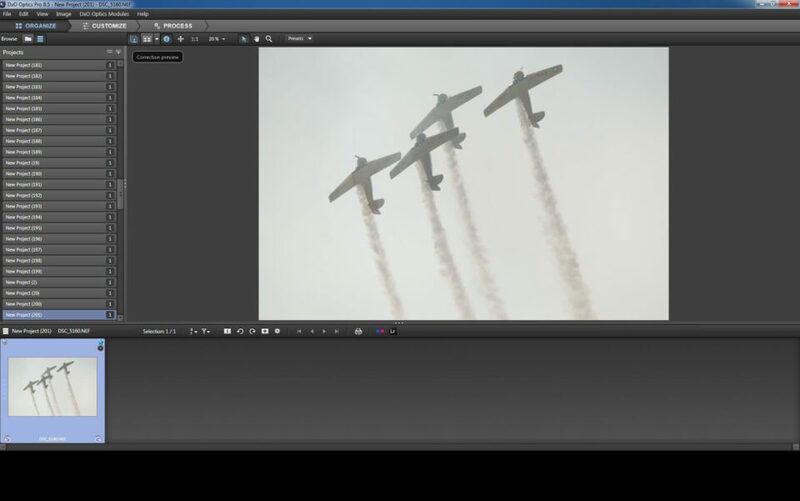 I am currently using two pieces of DxOMark software…OpticsPro and ViewPoint 2. In the new year I will be adding the rest of the DxOMark products to my arsenal which will make my overall process much smoother and faster as it will all be integrated on the DxOMark platform. Since I do not have that other DxoMark software yet I cannot comment whether it will allow me to completely transition away from Adobe products or not. I may still need CS6 to do the odd spot adjustment….other than that I may not need it for anything else. Spot adjustments are anticipated with the next version of OpticsPro so if, and when, that happens I will be able to fully transition away from Adobe. I also do not know at this point if the additional DxOMark software will also supplant my use of Topaz and Nik. It very well may. Hallelujah! THIS is how normal, polite social human beings express their reservations about something they’ve read. Your eloquent choice of language, and the fact that you didn’t feel the need to qualify your opinion with “I’m a professional so I know what I’m talking about” made me want to read the rest of what you had to say. Thank you. Mark, Betty, you both make compelling points and clearly know what you’re talking about, but, as with all facets of life and work, it’s about “rubbing people up the right way”. In the aftermath and smoking embers of this somewhat ugly quarrel, it seems to me that your initial adversarial tone was your only crime. The fact that something so small could escalate so quickly into such hostility is perhaps something for us all to ponder. I’ve read both the article and all of the comments (to date). I believe Tom to be a passionate photographer and one who takes great pride in sharing and helping. I believe Mark and Betty’s initial comments in regards to workflow and tools to be constructive and have merit. In the end it matters only that you, as an artist, can arrive at a place where you are pleased with the result. The sole purpose of the tools (and knowing how to best use the tools), is to empower you to do so. this picture was taken as part of a review of the Tamron 150-600mm lens. This is not a professional lens. I am sure that the initial result would have been much better with the setup (or many other setups) that you suggested. No kidding. Second, Thomas wasn’t suggesting the initial image was high quality. This was an attempt to salvage a fair image to make it into something acceptable. In that I think he succeeded. Third, Thomas did not present himself as an expert on PP (just the opposite) or suggest that his process was in any way refined. I think this was meant as both a discussion starter and to show what could be done, not as some process to be followed. Further, he did not recommend specific tools. I would not have used the same tools (I don’t have Nik or DXoMark Pro tools) but that does nothing to take away from what he was trying to do. Hi Tom. As a matter of curiosity, could send me a link to the RAW file please? I would be pleased to provide you with a link so you can get a copy of the RAW file. Nasim and I are in the process of getting it loaded and ready. Given recent events on here I am not making it available ‘willy-nilly’. If you would like to send me an email….I would be pleased to provide you with the appropriate link when it is available. You can find my email address on my website which you can find by clicking on my name at the top of this article. This sure kicked a hornets nest! Regardless, I want to share some honest criticism of myself that might apply to Thomas (note that this in no way is meant to criticize his sharing of what he did or the final result). 1. I am a very thoughtful photographer and process oriented when behind the lens. I try to know every feature / limitation of the camera and lens I am using and try to follow tried and true processes for different types of situations. I often create acronyms for the process I want to apply, so I am thinking carefully about the subject and what I want to convey. That frequently results in keeper photos that don’t require huge amounts of post processing. 2. My post processing is frequently scattered! I came from the film era, and while I am quite computer literate, I often find myself flailing at images that I think can be “salvaged” Most of the time, I think the best thing I could do with marginal images is discard them and sometimes I just don’t. My “process” is undisciplined. Like the author, I probably use too many tools (Lightroom, Topaz Adjust, Photoshop, Perfect Photo Suite) without a thorough understanding of when to use which tool (especially Topaz and Perfect Photo Suite, where I find many similar settings). I think Thomas would admit to some of the same issues. So, what I would love to see is a list of well reviewed resources on how to develop both a better process and a better understanding of the tools / settings in a somewhat holistic way. For example, I frequently visit OnOne and Topaz’ web sites to watch tutorials. These certainly help in learning specific tools, but does little to improve my understanding of how to combine these tools with LR / PS or with other common tools. Having resources that put all this together would be welcome. Thanks for the posting….and yes…I do relate to it very much indeed! I am the first to admit my shortcomings in terms of my post processing approach. Currently I use four software products (DxO OpticsPro, CS6, Nik Suite and Topaz)…but perhaps in a little more focused way than you describe. For example I only use Topaz when I am working on ‘photo art’. Like many folks my plan is to be less scattered and to have a more structured approach. This means moving towards something more integrated so it will not only be faster…but will also enable me to improve the quality of my output. My choice will be different than the vast majority of folks who frequent Photography Life. It may even be viewed as ‘heresy’ by Adobe zealots….as I am planning on “going over to the dark side”….ooooooooooo……by using the DxO suite of software as my platform…..did you hear the blood-curdling scream in the background? All kidding aside…I have two programs now…DxO OpticsPro (8 and 9)and Viewpoint 2 which I really like. As a raw processor OpticsPro is simply wonderful and Viewpoint 2 is easy and quick to use. I certainly value self-development and I have been spending quite a bit of time online with the DxO tutorials improving my understanding and skills using the two products I currently have. I will be adding the other DxO products in the new year…or perhaps at the Vistek event in Toronto in October if they have any good ‘deals’ on them. I have to admit, I find LR so useful for managing images that it would be hard for me to do without it :) My photo management is very well refined, unlike my PP. That said, I purchased Perfect Photo Suite in the hope that it would provide enough layer goodness for me to not have to join the Adobe cloud. I don’t like the model and feel its the wrong direction for me. Regardless, I have to do something about my PP! Too much of the time I don’t entirely understand what the tools do, except in LR. I know LR very well and know what things do, but when I want to go beyond that, I am frequently in “no mans land” Despite using PS for a long time, I am still not an expert, which is bad on me. I have subscribed to Lynda.com in hopes of becoming more proficient, but it really hasn’t helped. Maybe I will try a more photography centric site to get more insight. Lastly, this is clearly NOT about tools. Your desire to move beyond Adobe doesn’t change the need for an easily repeatable creative process. I will eventually get there, but I need to focus on it the same way that I focus on learning my cameras / lenses / lighting. I emphasize one at the expense of the other. I need to emphasize both because while I don’t think they are equally important, they are equally necessary. Despite the can of worms this opened, don’t get discouraged – it did lead to some constructive comments and learning, and for that I thank you. Thanks for your comments. And don’t worry…I am far too busy to get discouraged about anything! To add to your posting…. I don’t use any programs like Lightroom for image storage. My filing system is all client based on a Microsoft platform and it integrates everything that I may potentially do for a client…keeping in mind that my client services extend well beyond just photography and video production. My filing system needs to handle image and video files, as well as the complete range of Office files like Word, Excel and PowerPoint. I find one, client-based filing system works extremely well for me. Using any piece of photo software to store images separately would be totally counterproductive. All of my work is for industrial and corporate clients, mostly business-to-business oriented so my work is extremely focused. I don’t do any consumer-type work…no weddings, school photos, family portraits etc. I understand from other photographers that this type of assignments often results in large volumes of images being taken for client review. Avoiding this type of work like the plague is one of the reasons I don’t need, or do, any batch processing. We mainly use our in-house studio to support our own poster business (safety, wellness, respectful workplace, motivational etc.). Much of the other photography work I do feeds sales of our own prints….mainly landscape but increasingly also photo art. To this end we have full in-house print production capability including a large format 24″ 12-colour printer and laminator. I mention all of this because it all leads down to the type of image processing that I do currently. Since I am only ever interested in one specific file for a poster or print, or a few selected images for a client assignment the notion of needing an efficient batch system style of processing to crank through hundreds of images efficiently is completely foreign to me. I suppose the logical question is…”Then why bother changing what you’re doing now?” The answer is the future. We will need to be much more organized and efficient in the future in order for us to meet our business goals of dramatically expanding the revenue generating potential of our YouTube channel, growing our poster and print sales, pursuing additional book publishing opportunities, and potentially producing our own series of DVDs…all of those initiatives will be fed by our own photography. So, I know all of my ‘mucking about’ in post processing needs to end and be transformed into a sleek, efficient process to handle our future needs. My decision to move towards DxO products is really based on my assessment of the strategic advantage that DxO has as a company and where it will be positioned in the future. With thousands and thousands of proprietary profiles of camera sensors and lenses that their labs have been developing for many years DxO has a significant, sustainable, competitive advantage that it is only starting to leverage as a company. That competitive advantage is not yet well understood in the marketplace. DxO is beginning to develop highly customized software solutions that no other company will be able to do because those other companies don’t have that data base of proprietary sensor and lens testing. I believe that DxO will be the pre-eminent platform of the future and as such is our choice moving forward. Yeah, our businesses are really different. I do a few assignments and maintain a wildlife stock portfolio, but mainly I do pet photography. I do lots of batch processing. LR, for better or worse, is at the center of that management. Despite these differences, I can’t really afford to have a disorganized PP system either. I have to get better to get more done and get more consistent results. I think what you are saying about DxO is quite interesting. I do know that a large number of pro’s swear by them for RAW processing. I will look into it and see if it might offer a better platform for post processing. It is likely premature to look at DxO for all your post processing needs right now. I talked to their head trainer very extensively at a photographers’ event in the spring and there are some significant enhancements coming down the pipe with OpticsPro….spot adjustment being one of them. If what their trainer talked about to me comes to life with OpticsPro ’10’ then the software could move beyond being viewed as just an excellent RAW processor by pros. Comment partially edited by moderator. My advice…is to use Lightroom exclusively just for a while. The one advantage it has over most of the stand alone programmes is that it does give the photographer a complete workflow to follow from RAW file to final output in one completely integrated package. It has its faults too (e.g. not much control over sharpening) but overall is very good. Once you have a grip on that and the concept of always following a structured workflow, you will find dipping into other software from time to time to take advantage of some specific feature, easier and less likely to cause confusion. That seems like pretty sound advice It would certainly simplify things and then I could spend time to precisely define where the other tools can assist. I have read nearly all the comments including 192. As many of you have observed the tone of the discussion in this forum was not in keeping with the standards that our readers expect. As a result an extensive review of the various comments was conducted by a moderator. Many comments have either been deleted or edited (including many of mine) in an attempt to restore the civility and community spirit of giving and sharing that has always been a hallmark of Photography Life. Ongoing articles will have moderator oversight, and while it may take a bit of time for the moderator to delete or edit inappropriate comments, please rest assured that the team at Photography Life is dedicated to providing you with the best content of which we are capable of producing. Our intent is also to make sure that the discussions surrounding that content are conducted in a civilized, thoughtful manner. If you find that comments you made have been deleted or edited…please understand that this has been done to restore decorum. Many of the threads revolved around the tone of the previous discussion and the moderator felt that leaving them on here would only serve to remind people of what had transpired. If you are a beginner, you would want to pick an post processing application that you can grow into as opposed to grow out of. There are many out there and many are free. What whatever you choose, learn it well. The key to post processing is to be able look at your image and the meta data, and determine what needs to be done with it. This is difficult for beginners but it is the mastery you want to achieve. Eventually, there are no difficult images. There are only those you can optimize and those you can’t. Those you can’t you leave alone and those you can is where you put your time an energy. If you try to process every image in hope of a good outcome, I am afraid you will be disappointed and waste precious time. that is most likely the result of moderation. Some extensive revision was required here, it’s a rare case. :) Thanks for letting us know, though!